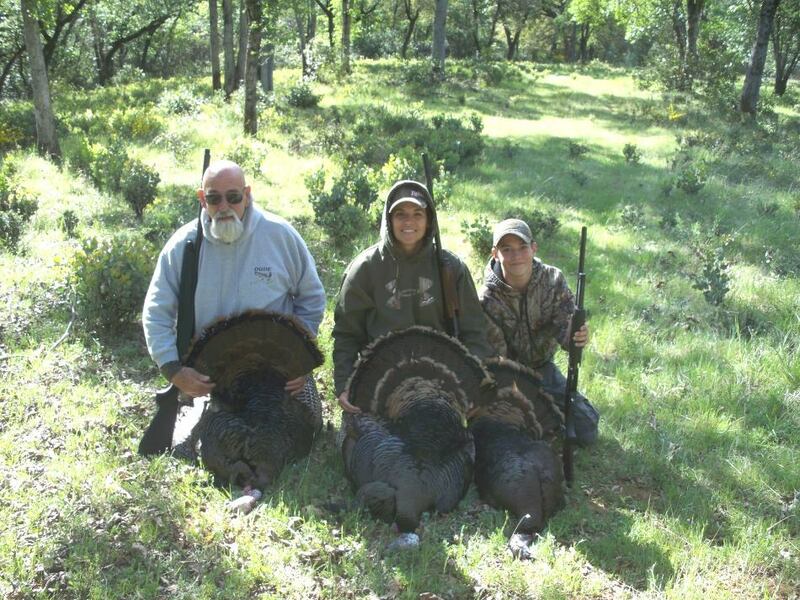 Bryan McCoard (r) after a turkey hunt with his grandfather Ron Neilsen Sr. (l) and his mother Christy McCoard.. Photo courtesy of McCoard family. The California Department of Fish and Wildlife (CDFW) and the Wildlife Officer Foundation have announced the winner of the annual “Passing on the Tradition” essay contest. Brian McCoard, a 13-year-old hunter from Cool, will be awarded a lifetime hunting license at the International Sportsmen’s Exposition (ISE) in Sacramento on Jan. 23. Junior hunting license holders or youths under 16 who earned a hunter education certificate in 2015 were eligible to participate in the contest. Entrants explained what “Passing on the Tradition” of hunting means to them in 500 words or less. “Introducing youth hunters to the tradition of hunting and ethical behavior is a critical component of our hunter education program and an important step in ensuring the continued conservation of California’s natural resources,” said CDFW Lt. John Nores. Brian’s winning essay emphasized that his father, Jared McCoard, is his role model in hunting in specific and life in general. The second place winner is Tyler Benedetti, 16, of Morgan Hill. Two competitors tied for third place: Ty Bauer, 11, of Eureka, and Joseph Lee, 16, of Hayward. AWARD CEREMONY: The grand prize will be awarded during a special ceremony at the ISE show in Sacramento on Jan. 23 at 3:30 p.m.
For more information on becoming a hunter education instructor to help “Pass on the Tradition,” please visit www.dfg.ca.gov/huntered/instructors.aspx.